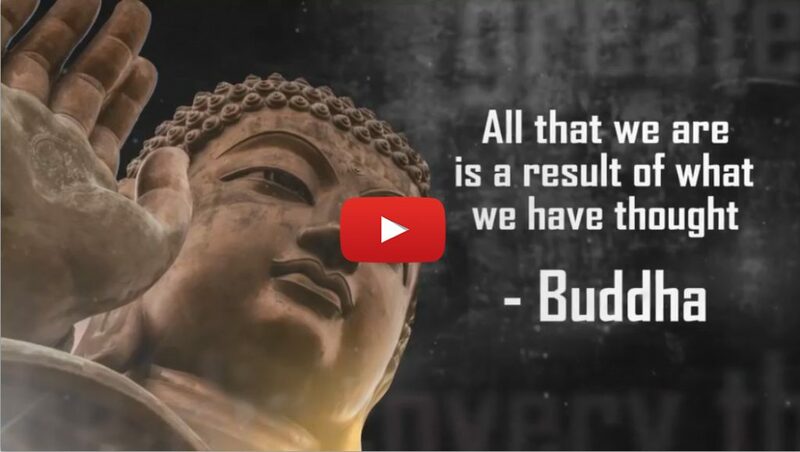 Eckhart Tolle is one of the greatest spiritual teachers of our time. His Teaching is very simple and profound. 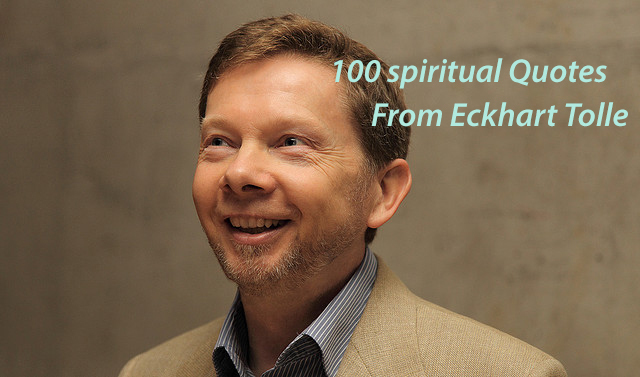 Below are 100 spiritual quotes from Eckhart Tolle selected from The Power of Now, Stillness Speaks, A New Earth. 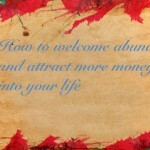 1, You attract and manifest whatever corresponds to your inner state. 2, You find peace not by rearranging the circumstances of your life, but by realizing who you are at the deepest level. 3, Don’t let a mad world tell you that success is anything other than a successful present moment. 4, You are not separate from the whole. You are one with the sun, the earth, the air. You don’t have a life. You are life. 5, Some changes look negative on the surface but you will soon realize that space is being created in your life for something new to emerge. 6, When you live in complete acceptance of what is, that is the end of all drama in your life. 7, Always say YES to the present moment. What could be more futile, more insane, than to create inner resistance to something that already is? 8, Here is a new spiritual practice for you: don’t take your thoughts too seriously. 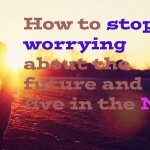 9, Unease, anxiety, tension, stress, worry – all forms of fear – are caused by too much future, and not enough presence. 10, When you no longer believe everything you think, you step out of thought and see clearly that the thinker is not who you are. 11, What the future holds for you depends on your state of consciousness now. 12, Whenever you are able to observe your mind, you are no longer trapped in it. 13, It is inner stillness that will save and transform the world. 14, If you resist what happens, you are at the mercy of what happens, and the world will determine your happiness and unhappiness. 15, Stay present, and continue to be the observer of what is happening inside you. 16, Sometimes surrender means giving up trying to understand and becoming comfortable with not knowing. 17, Accept – then act. Whatever the present moment contains, accept it as if you had chosen it. Always work with it, not against it. 18, Pay more attention to the silence than to the sounds. Paying attention to outer silence creates inner silence: the mind becomes still. 19, Be aware of the thoughts you are thinking. Separate them from the situation, which is always neutral, which always is as it is. 20, You have it already. You just can’t feel it because your mind is making too much noise. 21, Don’t be concerned with how others define you. When they define you, they are limiting themselves, so it’s their problem. 22, If you suddenly feel very light, clear, and deeply at peace, that is an unmistakable sign that you have truly surrendered. 23, If you get the inside right, the outside will fall into place. Primary reality is within, secondary reality without. 24, Boredom, anger, sadness, or fear are not “yours,” not personal. They are conditions of the human mind. They come and go. 25, The stronger the ego in you, the more likely it is that in your perception other people are the main source of problems in your life. 26, Stress is caused by being “here” but wanting to be “there,” or being in the present but wanting to be in the future. 27, Sometimes letting things go is an act of far greater power than defending or hanging on. 28, Power over others is weakness disguised as strength. True power is within, and it is available to you now. 29, Life will give you whatever experience is most helpful for the evolution of your consciousness. 30, When you become comfortable with uncertainty, infinite possibilities open up in your life. 32, Nature can bring you to stillness. That is its gift to you. 33, Acceptance means: For now, this is what this situation, this moment, requires me to do, and so I do it willingly. 34, Death is a stripping away of all that is not you. The secret of life is to “die before you die” – and find that there is no death. 35, Most people want to get what they want, whereas the secret is to want what you get at this moment. 36, To be okay with what is, which is the simplicity of this moment, is the beginning of true change. 37, The primary cause of unhappiness is never the situation but your thoughts about it. 38, Life is now. There was never a time when your life was not now, nor will there ever be. 39, Unease, anxiety, tension, stress, worry – all forms of fear – are caused by too much future, and not enough presence. 41, Your inner purpose is to awaken. It is as simple as that. 42, You are most powerful, most effective, when you are completely yourself. 43, Can you look without the voice in your head commenting, drawing conclusions, comparing, or trying to figure something out? 44, As soon as you honor the present moment, all unhappiness and struggle dissolve, and life begins to flow with joy and ease. 45, Whatever you accept completely will take you to peace, including the acceptance that you cannot accept, that you are in resistance. 46, Rather than being your thoughts and emotions, be the awareness behind them. 47, The moment that judgment stops through acceptance of what is, you are free of the mind. You have made room for love, for joy, for peace. 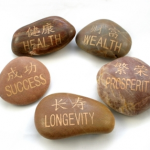 48, Acknowledging the good that is already in your life is the foundation for all abundance. 49, When you are suffering, when you are unhappy, stay totally with what is Now. Unhappiness or problems cannot survive in the Now. 50, Forget about your life situation for a while and pay attention to your life. 51, Surrender to what is. Say YES to life – and see how life suddenly starts working for you rather than against you. 52, Be aware of your breathing. Notice how this takes attention away from your thinking and creates space. 53, Every addiction arises from an unconscious refusal to face & move through your own pain. Every addiction starts with pain & ends with pain. 54, Rather than being your thoughts and emotions, be the awareness behind them. 55, If you had not suffered as you have, there would be no depth to you as a human being, no humility, no compassion. 56, When there is stress, it is usually a sign that the ego has returned & you are cutting yourself off from the creative power of the universe. 57, Whenever you feel superior or inferior to anyone, that’s the ego in you. 58, If you get the inside right, the outside will fall into place. Primary reality is within, secondary reality without. 59, What a liberation to realize that the voice in my head is not who I am. Who am I then? The one who sees that. 60, Negativity is not intelligent. It is always of the ego. 61, I am not the content of my life. I am Life. I am the space in which all things happen. I am consciousness. I am the Now. I Am. 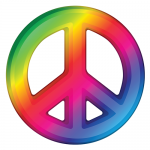 62, If peace is really what you want, then you will choose peace. 63, When you realize that what you react to in others is also in you (and sometimes only in you), you begin to become aware of your own ego. 64, Remember that your perception of the world is a reflection of your state of consciousness. 65, The vital function that pets fulfill in this world hasn’t been fully recognized. They keep millions of people sane. 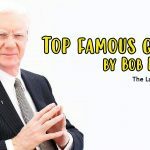 66, Complaining is one of the ego’s favorite strategies for strengthening itself. 67, Your unhappiness ultimately arises not from the circumstances of your life but from the conditioning of your mind. 68, Nonresistance, nonjudgment, and nonattachment are the three aspects of true freedom and enlightened living. 69, Guilt, regret, resentment, grievances, sadness, bitterness & all forms of nonforgiveness are caused by too much past & not enough presence. 70, Real love doesn’t make you suffer. How could it? It doesn’t suddenly turn into hate, nor does real joy turn into pain. 71, Welcome to the present moment. Here. Now. The only moment there ever is. 72, Accept the present moment and find the perfection that is deeper than any form and untouched by time. 73, Do not be concerned with the fruit of your action – just give attention to the action itself. The fruit will come of its own accord. 76, Seek out a tree and let it teach you stillness. 77, To recognize one’s own insanity is, of course, the arising of sanity, the beginning of healing and transcendence. 78, This, too, will pass. 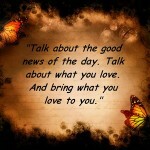 79, Gratefulness for what is there is one of the most powerful tools for creating what is not yet there. 80, To listen to the silence, wherever you are, is an easy and direct way of becoming present. 81, Give up defining yourself – to yourself or to others. You won’t die. You will come to life. 82, Forgive yourself for not being at peace. 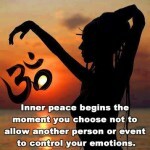 The moment you completely accept your non-peace, your non-peace becomes transmuted into peace. 83, Your friends either go through this inner transformation with you or drift out of your life. Some relationships dissolve, others deepen. 84, True happiness is found in simple, seemingly unremarkable things. 85, You are in the here and now, while your mind is in the future. This creates an anxiety gap. 86, Nothing that comes and goes is you. 87, Some changes look negative on the surface but you will soon realize that space is being created in your life for something new to emerge. 88, You are awareness, disguised as a person. 89, Just be, and enjoy being. If you are present, there is never any need for you to wait for anything. 91, Presence is when you’re no longer waiting for the next moment, believing that the next moment will be more fulfilling than this one. 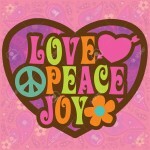 92, Love, joy, and peace cannot flourish until you have freed yourself from mind dominance. 93, With forgiveness, your victim identity dissolves, and your true power emerges – the power of Presence. 94, Struggle or stress is a sign that the ego has returned, as are negative reactions when we encounter obstacles. 95, Whatever you think the world is withholding from you, you are withholding from the world. 96, All true artists, whether they know it or not, create from a place of no-mind, from inner stillness. 97, Realize deeply that the present moment is all you ever have. Make the Now the primary focus of your life. 99, Let go of thought, become still and alert, and don’t try to understand or explain. 100, The present moment is as it is. Always. Can you let it be?